A good friend will always buy you a Paperchase gift card for your 30th birthday rather than fashion vouchers, chocolates or flowers. 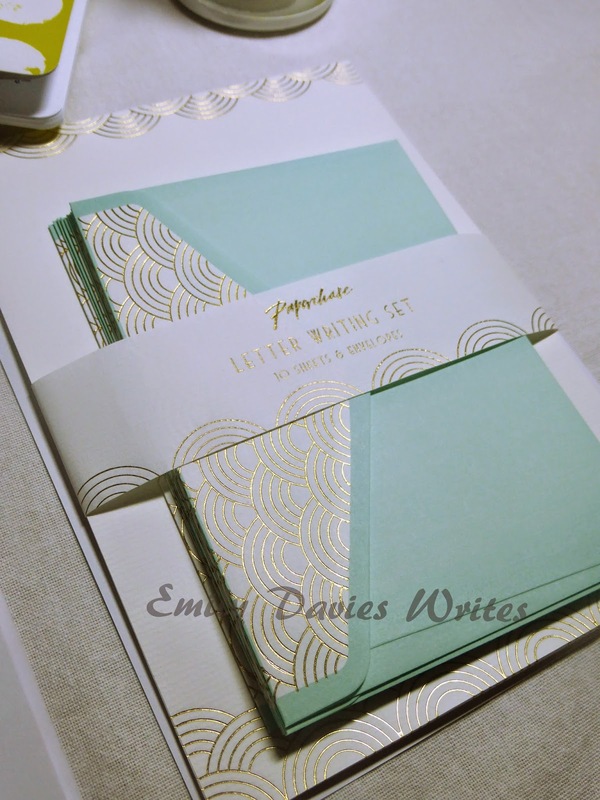 Because who doesn't love stationery, right? And by some happy coincidence I headed out to spend said vouchers during National Stationery Week which provides the perfect excuse to blog about my haul! As you can see, I picked up a pack of exercise books, some letter writing sets and a cute milk bottle candle holder. Total, about £20 - not bad! The exercise books will be for all my lists, you can never have too many. And I'm looking forward to writing some nice letters to my London friends. Everyone loves to receive proper post in amongst the bills and junk mail. I know it brightens my day (pen pals are always welcome in this house!). 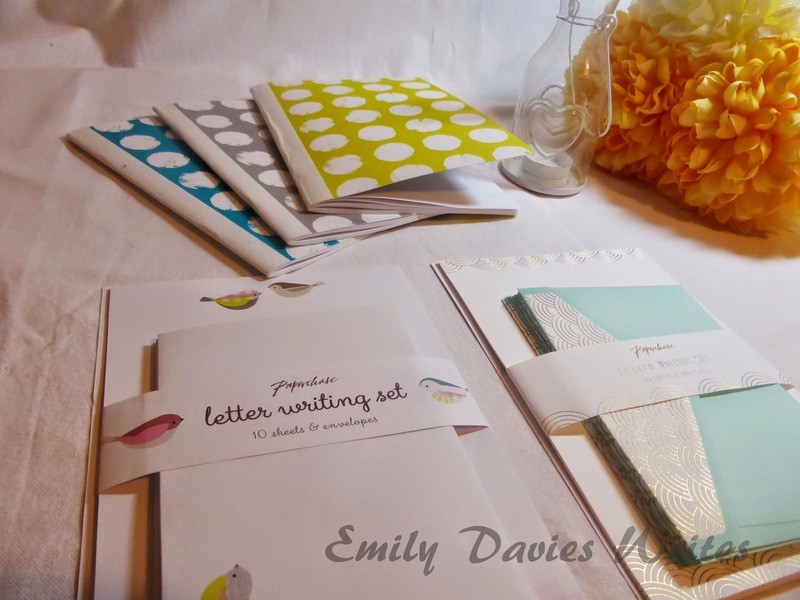 So, here's to National Stationery Week! 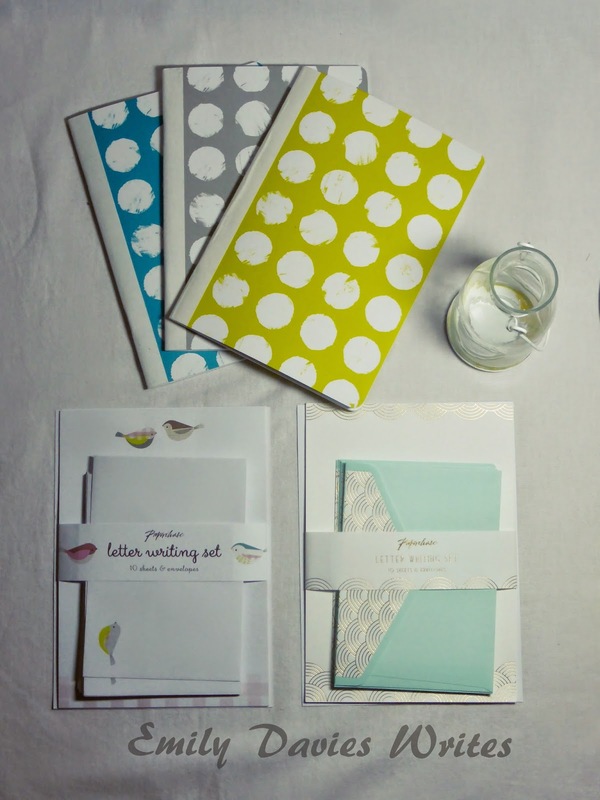 Not that we need an excuse to purchase, celebrate or use pretty stationery, but it certainly helps. Crack out the pens and practise your best handwriting, and if you're lucky you might have a pretty letter landing on your doormat very soon! I LOVE your choices! I always tell people that they can never go wrong getting me a Paperchase giftcard or goodies, too. And like you, I had to pop there this week, I mean it's #NatStatWeek, would've been rude not to, right?! Definitely rude not too. It's a good job there isn't a Paperchase in my local town centre or I would be broke! I could spend hours in Paperchase! Have you ever been the the flagship store on Tottenham Court Road? It's a must-visit every time I'm in London, though much better if you go alone without bored kids and husbands in tow!